Dragon Ball FighterZ Launch Trailer and More! At the end of the week, the most anticipated fighting game will be launched on Xbox One, PlayStation 4 and PC. Fans and newcomers will be able to join endless spectacular fights with all powerful fighters! Bandai Namco Entertainment today can reveal the Dragon Ball FighterZ launch trailer and more! Android 21 joins Dragon Ball FighterZ with multiple unique Ultimate Attacks! Supervised by Akira Toriyama, Android 21 has an important role in the Dragon Ball FighterZ story mode. She is a mysterious scientist known for having the same knowledge as the Androids creator Dr. Gero. Connected with Android 16 her background is quite vague. What are her real intentions? Is she an ally? 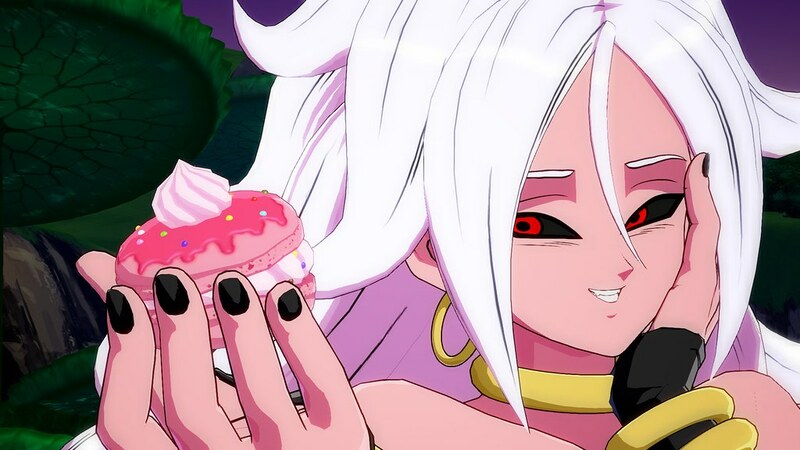 With her Tasting Cut Ultimate Attack, Android 21 not only drains the opponent’s energy but gains their attacks! The more you know about playing other characters, the more advantageous this attack will be! Her Meteor Ultimate Attack will allow her to shoot out a beam that changes the opponent into a cake! Dragon Ball FighterZ will be launched 26th January, 2018 on Xbox One, PlayStation 4 and PC.